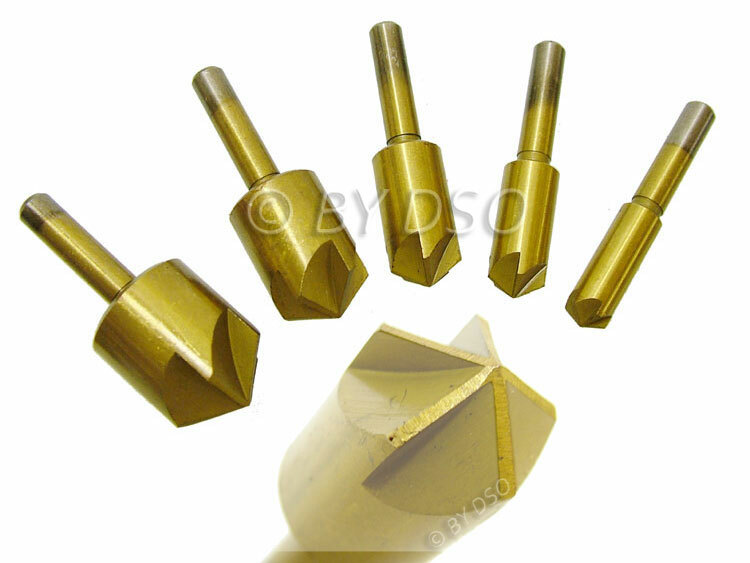 This set of titanium coated countersink bits have been hardened and tempered for maximum power and efficiency. The Titanium coating creates an even harder coating on the outer surface of the hardened steel which wont corrode if treated right and cuts at a much faster rate. Allow the head of a countersunk bolt or screw, when placed in the hole, to sit flush with or below the surface of the surrounding material with these bits that cut a conical hole into a manufactured object. For use on wood and most countersink jobs. For the Trade Professional, DIY Enthusiast or the Hobbyist.